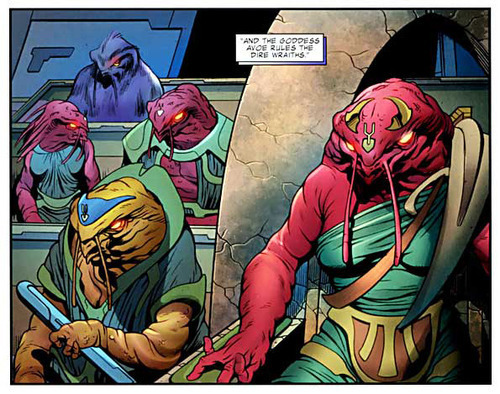 According to the Marvel Wiki, “The Dire Wraiths were a Deviant offshoot of the Skrulls that practiced arcane arts and resided on Wraithworld in the much feared Dark Nebula.” First appearing in Rom #1 (1979), the alien Dire Wraiths were the Space Knight’s primary antagonists. From battling them in his home galaxy of Galador, to protecting the earth from their vile plans, Rom thwarted them at every turn, even banishing the entire race to Limbo. Pretty good for an action figure from Parker Bros. 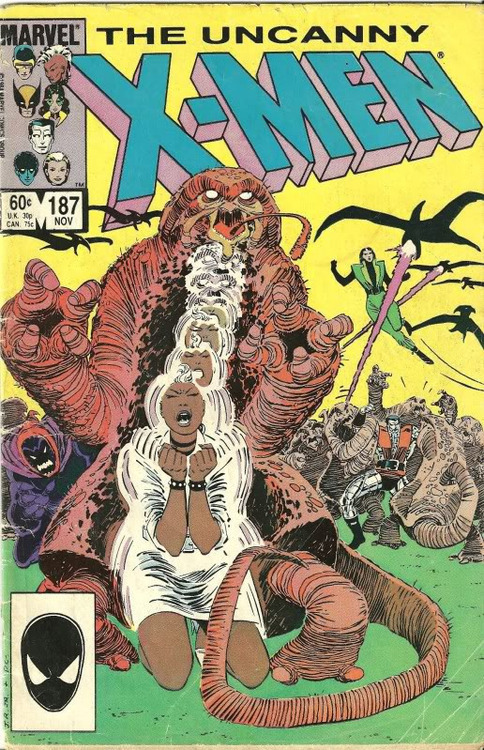 I was introduced to the Dire Wraiths when they made their way into the Uncanny X-Men, fighting against Storm and Forge in the classic issues 186 through 188. 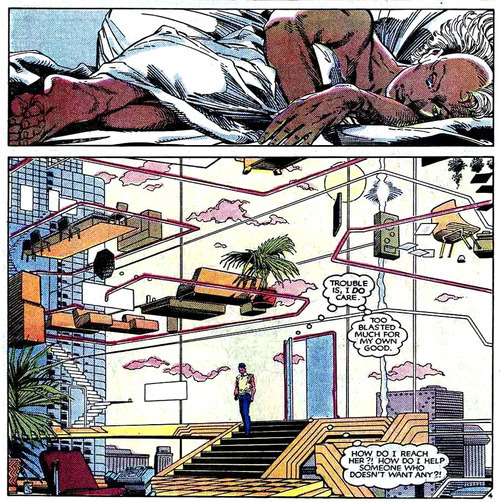 Issue 186 was penned by Chris Claremont with art by Barry Windsor-Smith and is one of my all-time favorites. Uncanny X-Men, issue #187 is where the battle begins with the Wraiths vs. the X-Men and was penciled by John Romita, Jr.
Move forward to 2010 when I am completely invested in Hickman’s run on the Fantastic Four and what do I see: the Dire Wraiths listed as one of the five races of “Universal Inhumans”. My inner ten year-old is screaming, “THIS IS AWESOME”! After some research, I eventually found out that the Wraiths have been used throughout Marvel comics over the last couple of decades, but since I focus on a few quality titles rather than trying to ingest every issue for continuity, their appearance was a special treat. Rather than try to setup a huge battle between the FF and the Wraiths, Hickman drops them in the story like an inside joke, just for me. We don’t get 3 pages of exposition on who they are, because we, the readers, don’t need it. Hickman winks at me with the Wraiths, and I wink back! Hickman has done this on a regular basis. 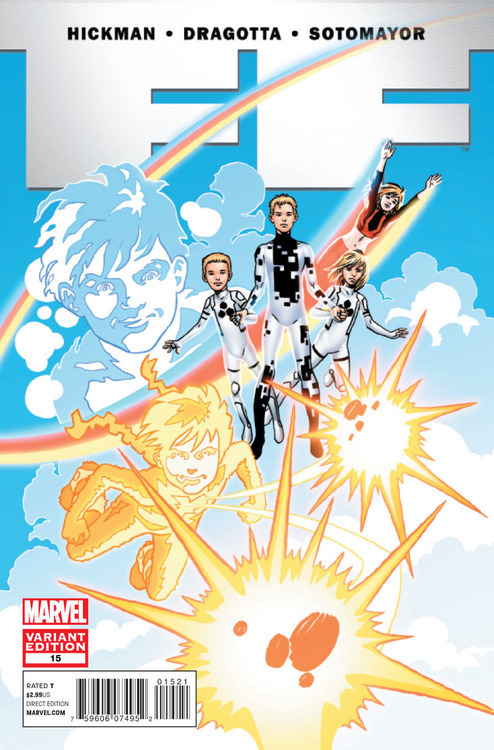 From Alex Power in the FF to the Kymelians appearing in the Fantastic Four, Hickman planted classic characters from the eighties Power Pack throughout his runs. More recently, he resurrected several characters from Marvel’s New Universe. Starting in 1986, in honor of Marvel Comics’ 25th anniversary, Jim Shooter launched his “more realistic” series of new heroes and comics. The initial stories lasted until 1989, but had an impact on me and obviously on Hickman. 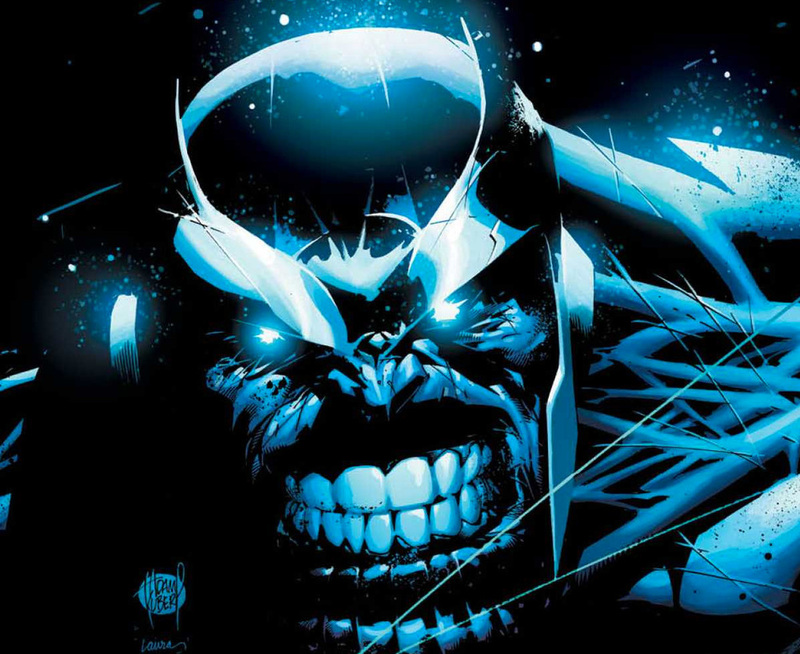 Nightmask and Starbrand appear in different forms in the Avengers title and eventually make their way into Infinity - to great effect. This brings us full circle to Infinity #1, page 21, where we see an appearance from the Space Knights of Galador! 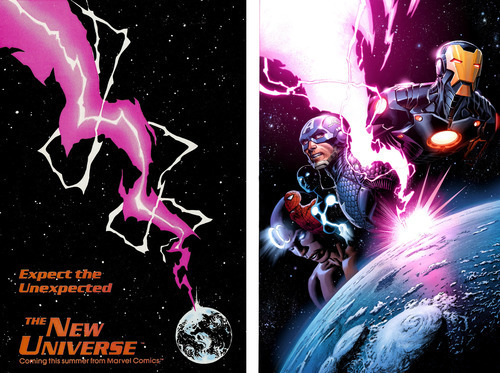 How great to see these characters drawn by Jim Cheung? Then “BAM” - they are all killed in two pages later - annihilated by the “Builders”. 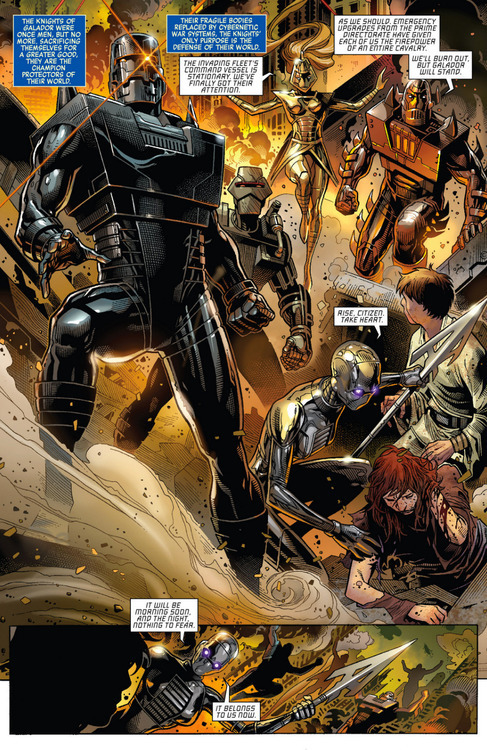 This is classic Hickman: introduce the coolest team of heroes and promptly kill them. 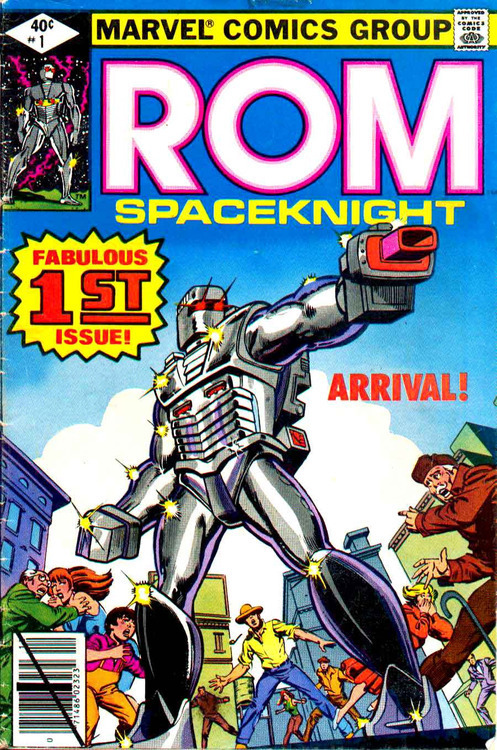 It raises the stakes for the main heroes and shows the reader that anything can happen - nothing is sacred to this writer - not even Rom’s beloved knighthood. On another note, is that Luke Skywalker on Galador? Did Hickman kill Luke too!? 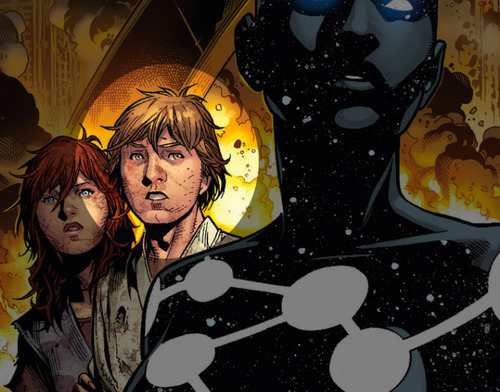 So, as cool as Infinity was, is it just building to the reappearance of Rom? Could Hickman have the ultimate eighties space knight hiding in the pages of a future Marvel book? 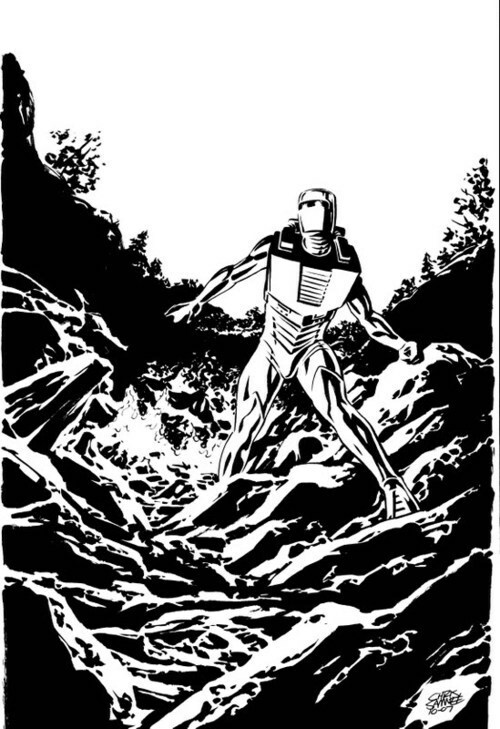 Until then, check out this great Rom art by Chris Samnee, listen to the “A Comic Book Education” podcast, and be sure to pick up Infinity!